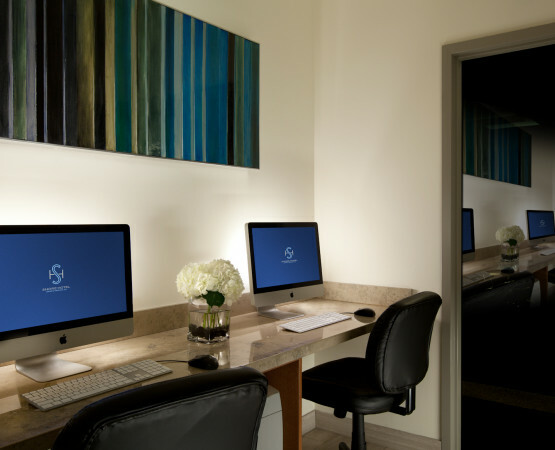 Providing guests with a green yet cutting edge experience, The Shore Hotel is a bright and airy space with eco-conscious accommodations and modern amenities, steps from the Santa Monica Pier. 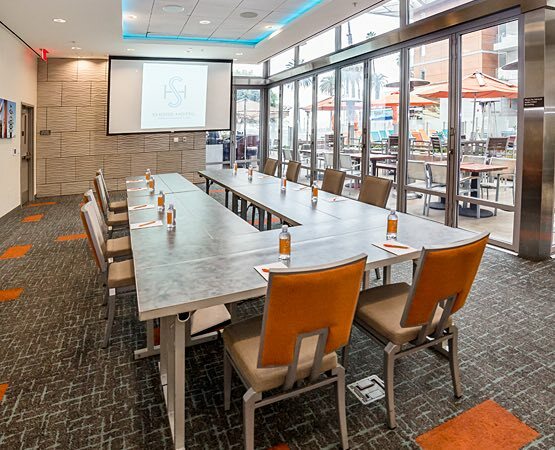 A charming venue for meetings and events, our hotel offers flexible indoor and outdoor space within walking distance of downtown Santa Monica’s top boutiques, cafes and bars. 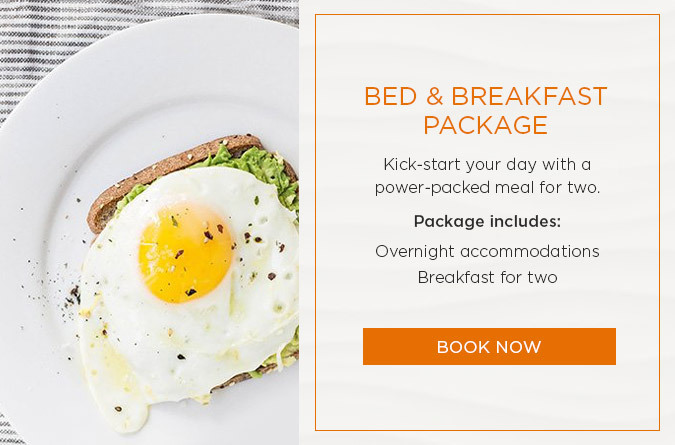 Take in scenic ocean views from your room, swim in a solar-heated pool, and work out in our state-of-the-art fitness facility. 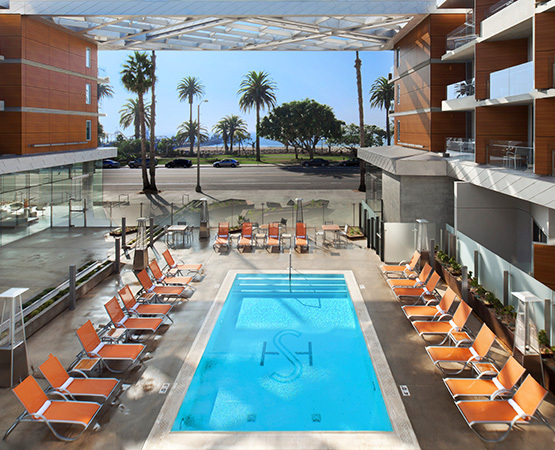 Bask in the sunshine from a chaise lounge, take a swim in the solar-heated pool or soak in the hot tub while taking in spectacular views of Santa Monica Beach. Located in an open-air atrium and enveloped by native landscaping, our hotel’s signature trellis is the perfect spot to unwind. Our 24-hour Fitness Center has everything you need to keep your trip from turning into a guilt trip, including free weights, cardio equipment and strength training machines. 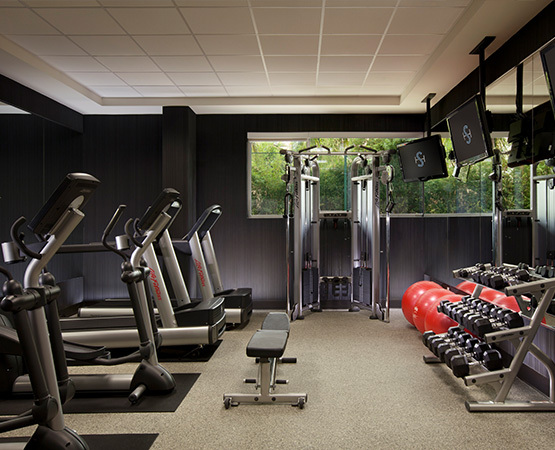 Accessible with your guest room key, complimentary to hotel guests, our state-of-the-art gym offers workout equipment with iPod compatibility. From document scanning to computer support, our 24-hour Business Center offers high-speed internet access and on-site staff to help you stay organized and on task while you’re on the road. We offer the following services for our business guests: printing, scanning, photocopying, and faxing (additional charges may apply). Shore Hotel in Santa Monica provides flexible indoor and outdoor event space in a unique and memorable setting. Perfect for any occasion, we make it easy to host your next business meeting, special event or social gathering by the beach. Guests will enjoy dining and mingling with scenic backdrops of the stunning Pacific Coast.